I’m not usually write anything in English. Mainly because my audience is Finnish speaking and there is a lot of good GIS blogs in English already. However, I decide to write something in English, because of National Land Survey Data opening on 1st of May, 2012. Finnish public sector is open by definition: you can get almost every document or database, if you just ask. But as in many European countries, you have to pay about data. Not memos or articles, but like road network, maps, statistics etc. 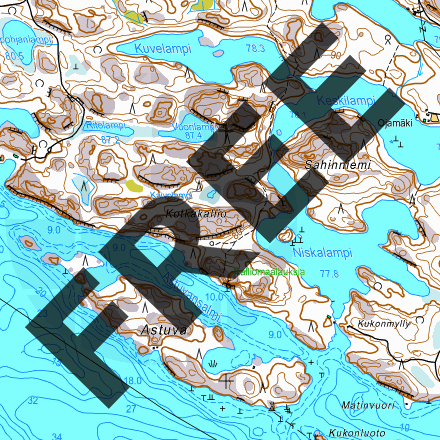 Well, geographic information is now free in Finland. There is 2 ways to get this information: order it from NLS in USB-drive (pay) or download via website (free). NLS has promise to open website on 3rd of May, 7th of May, 9th of May. Topograhic database (around 9.5 GB) will cost 540 EUR (+taxes [23%]). Well, this is quite expensive for smaller companies and individuals. My company, Gispo Ltd, decides to order necessary topographic information and share it freely to everybody. We got USB sticks (32 GB) and one USB disk (500 GB) on Friday 4th of May. With OpenStreetMap activists we presumed that torrent will be best tool to share this information. I presume Spatialite files are under a work, some WMS / WCS / WFS services are coming. Lidar data will be released on 9th of May, orthophotos on 14th of May and DEMs on 4th of June. So, we will be very busy! Posted on 08.05.2012, in Paikkatietouutiset and tagged National Land Survey, open geodata, topograhic database. Bookmark the permalink. Jätä kommentti.